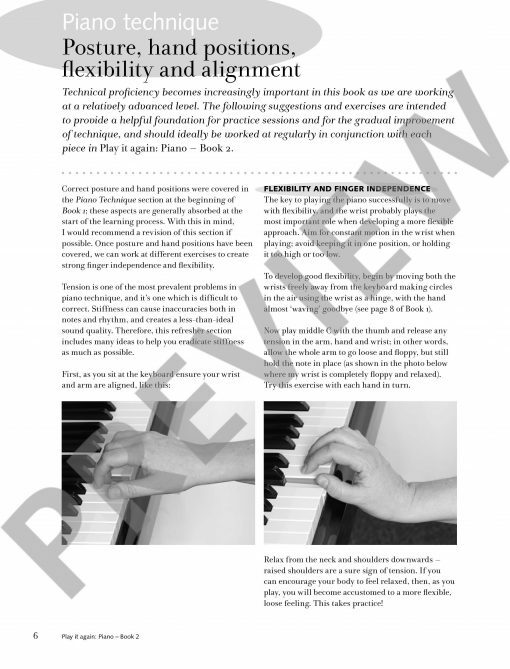 Play it again: Piano uses real pieces from the piano repertoire to teach specific techniques and tips, getting you playing fluently once again. 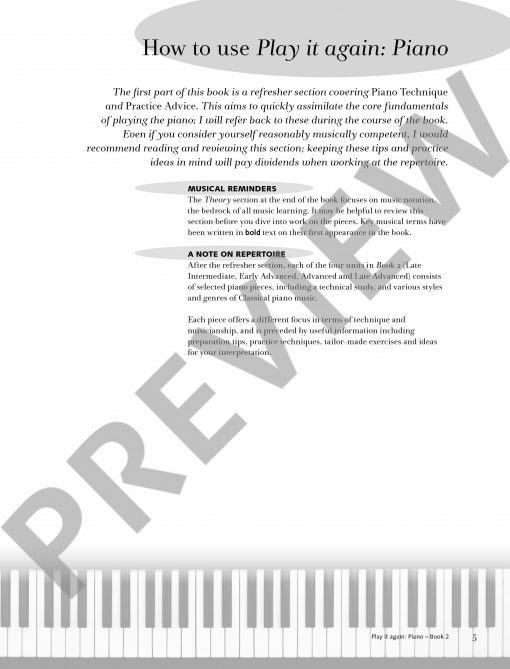 This is the second book, which is for the more confident ‘former’ piano player or for those continuing their journey from Book 1. 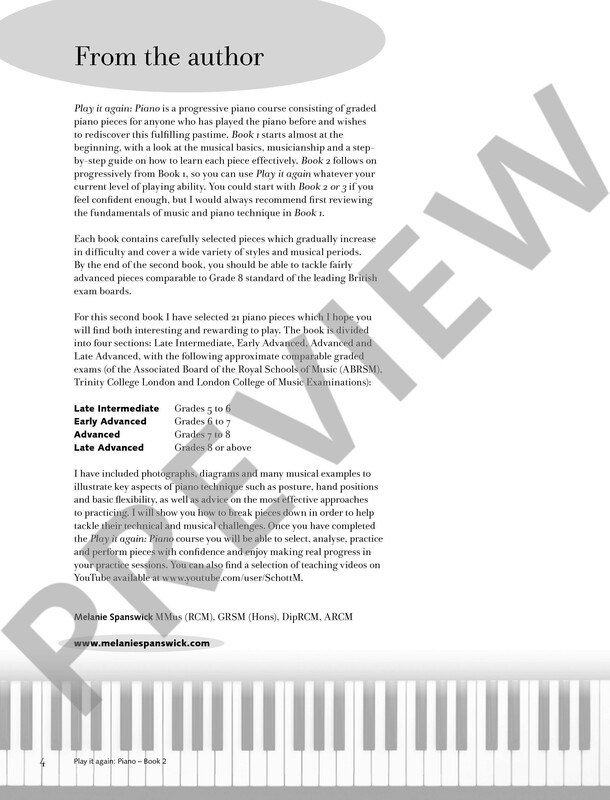 The level of pieces in this second book progresses from around UK grades 5 to 8 (intermediate to late advanced). 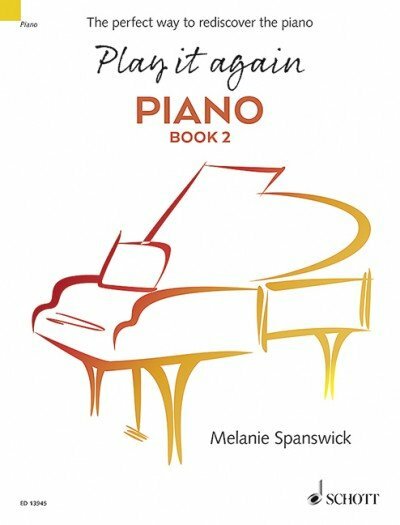 Aimed at ‘returning’ players who have spent some time away from the keyboard, Play it again: Piano gives you the confidence to revisit this fulfilling pastime and go beyond what you previously thought you could achieve. 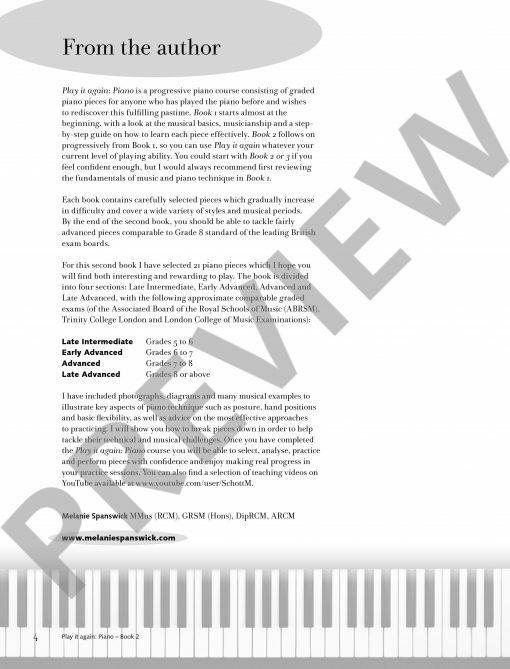 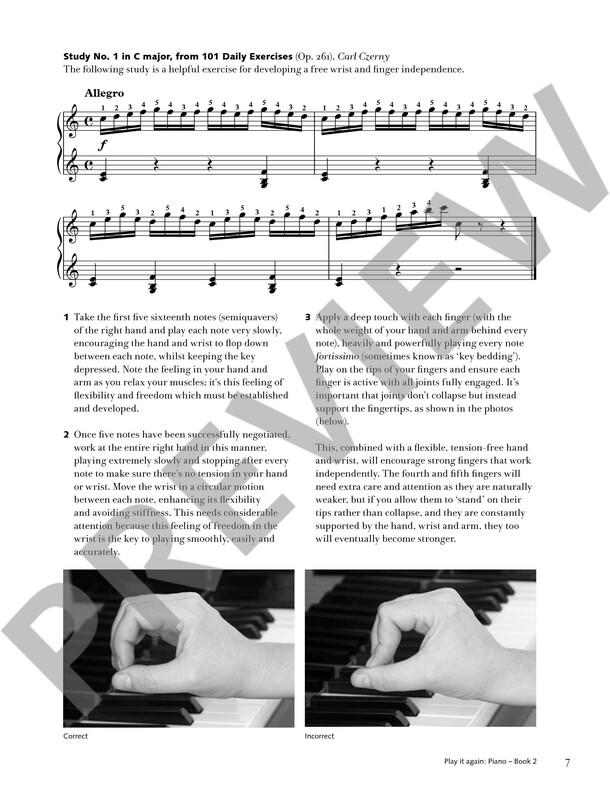 Each of the 21 pieces in Book 2 is accompanied by two full pages of easy-to-understand practice tips, all designed to get your fingers speeding comfortably across the keys once again! 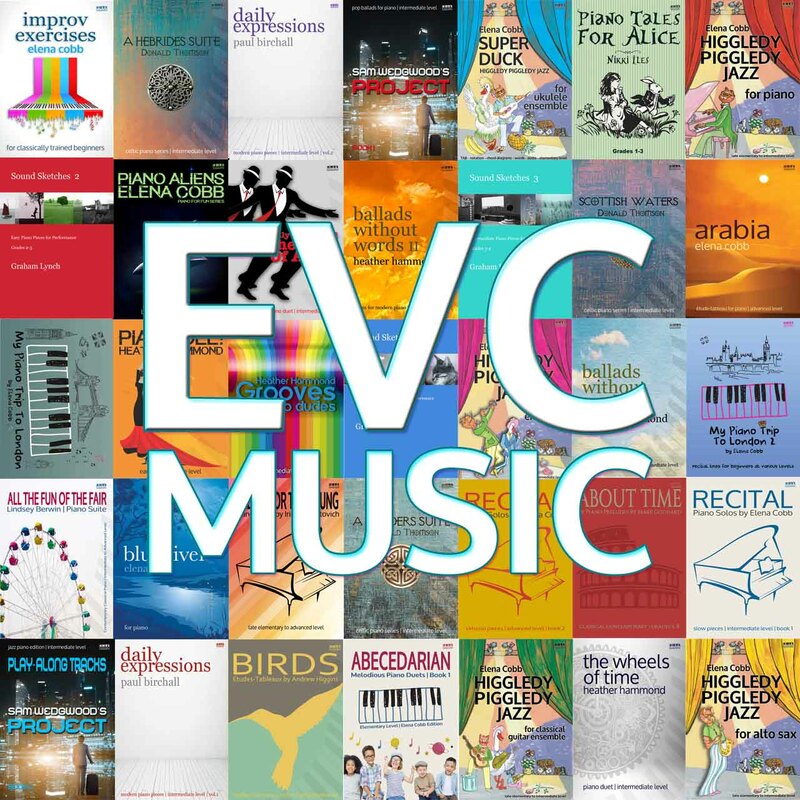 There are more comprehensive Piano Technique and Theory sections at the front and back of each book, so you can also delve deeper to regain a fuller understanding of music and technique.